Stimulation: Too much could hurt when you are young. In an experiment that is sure to make friends in the music, fitness and whisker-stimulation industries, Nature reports that steady stimulation blocks growth of blood vessels in the brains of infant mice. You’ve probably heard that exercise is good for mental health and growing new neurons. But when young mice jogged on an exercise wheel for three hours a day, blood vessels stopped forming in the motor cortex, the hunk of brain closely tied with movement. The same thing happened in a sensory section of the brain when the mouse’s whiskers — a key part of the animal’s sensory apparatus — were activated by a breeze. Before you jump to conclusions, remember that these changes followed hours of persistent stimulus. “Normal activity, or a very mild boost of activity, does not have any impact on the formation of new blood vessels,” senior author Jaime Grutzendler, associate professor of neurology and of neurobiology at Yale University, told us. 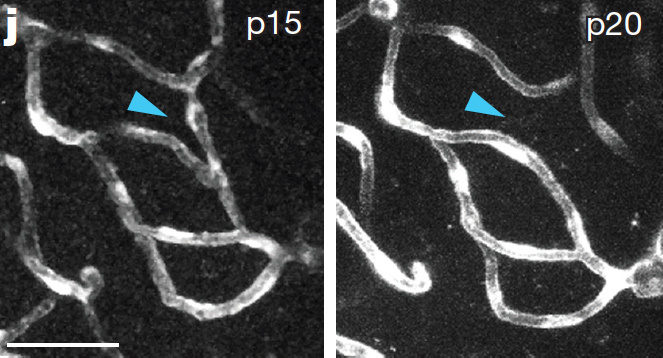 “You have to have persistent stimuli for it to become pathological and to see inhibition of blood vessel formation.” Overall, the slowdown in vessel growth “represents a 70 percent reduction in the numbers of new vascular branches formed and an 80 percent reduction in length growth when compared to unmanipulated animals,” the scientists reported. A tiny blood vessel (yellow arrow) grows in a mouse between 15 and 20 days after birth. New vessels form to supply oxygen and nutrients to the developing brain. These two-photon microscope images show a close-up of the brain of a live mouse! The authors wrote that blood vessels are particularly important to the brain, which, “unlike other organs, has high energetic demand, minimal energy storage,” and no reserve of tiny vessels to pitch in when needed. A tiny blood vessel (blue arrow) disappears between days 15 and 20. Vessels form and disappear in the brain as local demand for blood goes up and down. The most reliable reduction in blood vessel formation came from the 10-hour barrage of sound — mainly moderately loud “white noise,” and natural sounds, including some mouse-talk. The blockage of blood vessels “wasn’t related to volume, it was related to persistence,” Grutzendler says. Microscopic blood vessels are green in this comparison of vessel formation in the auditory cortex of the mouse’s brain. 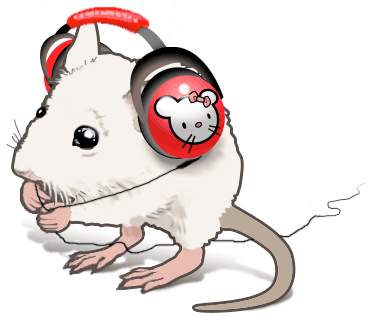 Vessels are denser in the mouse that did not hear 10 hours of noise each day. 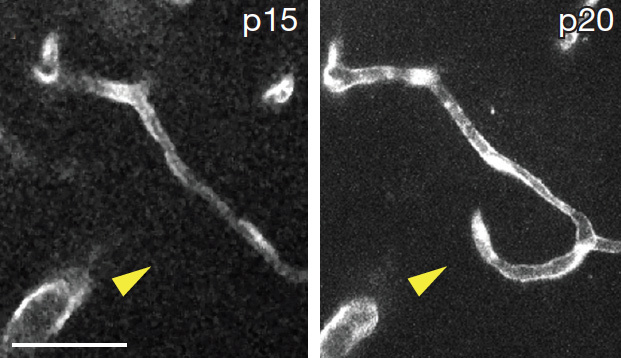 Collagen IV marks endothelial cells that construct these vessels. To heal hearing, try temporary blindness?